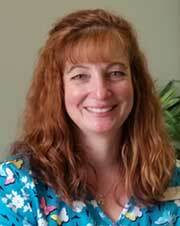 Theresa “Tre” Dellinger has over 25 years of experience working in the chiropractic field. She holds dual licenses in both Florida and North Carolina as a Chiropractic Assistant. Tre has been working with Dr. Reilly at Fairview Chiropractic Center since 2009. She is excited to be involved in Dr. Reilly’s vision of going above and beyond for the patients in his office and the community he lives in. Johnan McCue - Chiropractic Assistant. Johnan is an Asheville native. 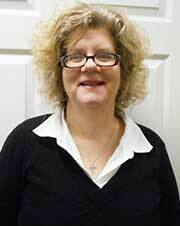 She obtained a degree in Medical Office Administration from AB Tech. In addition, she received a certificate in Medical Billing and Coding, also from AB Tech. She primarily assists with front office functions. She is married to Justin, and has a thirteen year old daughter, Marah. She enjoys walks with their English bulldog, Sarge. In her spare time, she most enjoys hanging out with family and friends. 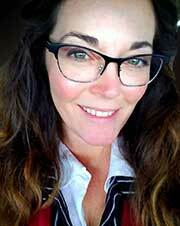 Anna Birkeland, AAS, RT(R) ARRT has over 18 years experience in the health and wellness industry. Her massage therapy, EMT training and patient advocacy work experience pair well with her radiography experience advanced radiation science studies and three years of hospital internships, enabling her to provide highly skilled direct patient care from a strong knowledge base. Anna has always fostered positive and genuine connections with people, which have led her to many interesting life experiences, including being a nationally certified ski instructor for over thirteen years, teaching for five of those years at Deer Valley Resort in Park City Utah, one of the top US ski destinations. She has worked with professional athletes as well as patients who require a high level of complex care. A lifelong passion for learning, growth and adding value to relationships and experiences are her main motivators. She is excited to be a member of the Fairview Chiropractic Team and shares in Dr. Reilly's commitment to professional individual care as well as well as service to our community. Addison has been living in WNC over 30 years. Time and travel have taken her far, but she loves living in Fairview with her Cajun husband, beautiful daughter, and spunky dog. She enjoys cooking, hiking, and spending time with family and friends. Her passion is people - she loves to help, educate, and care for others! Kim moved from New Jersey to North Carolina in 2009 with her husband, thr style="clear: both;"ee sons and 2 dogs. 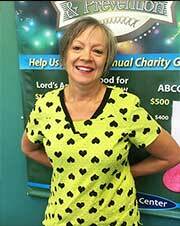 She has an Associate's Degree in Accounting but after several years as a bookkeeper, she was looking for a change. 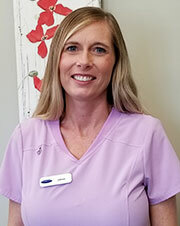 She is happy to have found the Fairview Chiropractic Family and loves helping patients achieve a better quality of life. 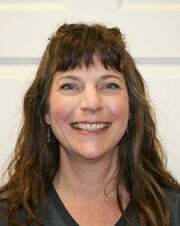 Yvonne is a native of the Asheville area and has been an advocate for chiropractic care for over 30 years. She has a passion for serving others. She has over 3 years of Class 4 Laser training and has extensive experience with all of our other treatment modalities as well as office operations. Yvonne is married to Wayne and together they have 2 children, Krystle and Kris, and a precious granddaugher, Evyn. Cassia serves as marketing director. She is a graduate of Clemson University, where she majored in English and minored in history and advertising/communications. She has worked as a teacher, corporate trainer for a Fortune 500 company, and has owned her own marketing business since 2011. She moved from SC to the Fairview area in 2012 to be closer to family. 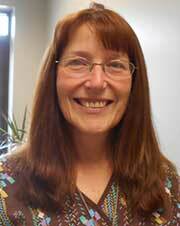 Since moving to the area she been active in the community, working with such organizations as the ACRHS PTSO and Eblen Charities.